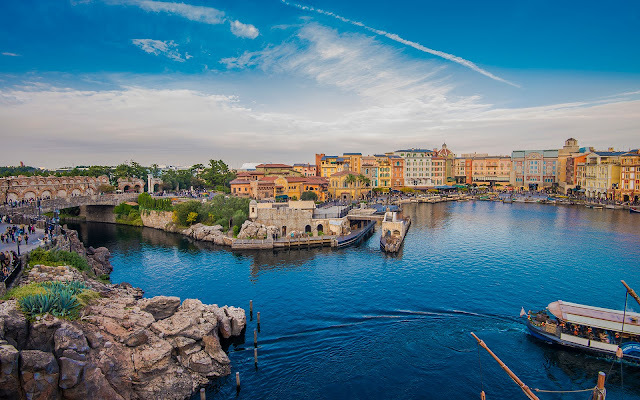 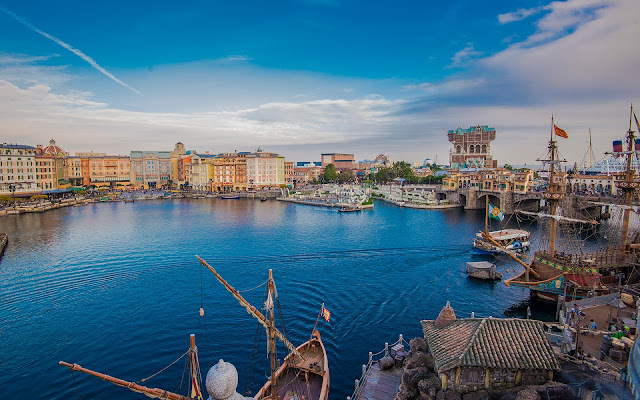 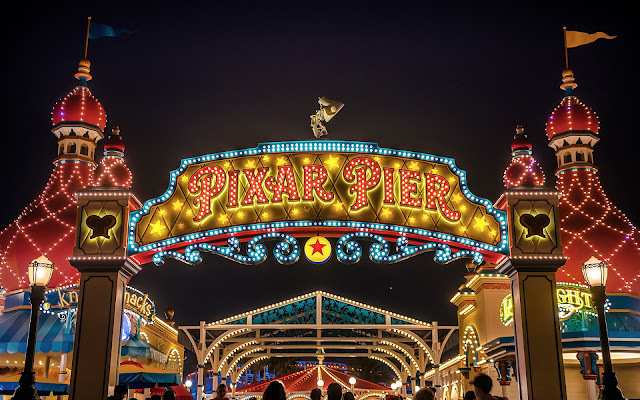 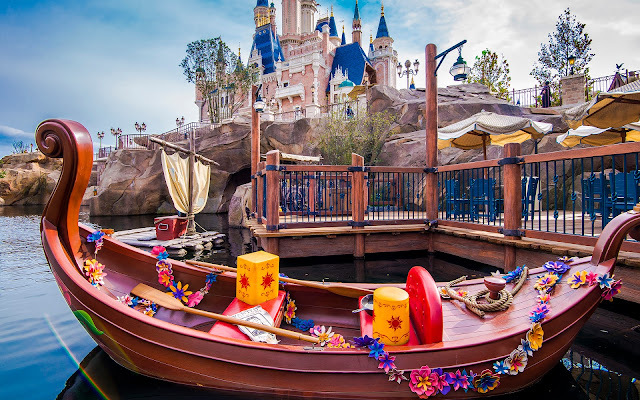 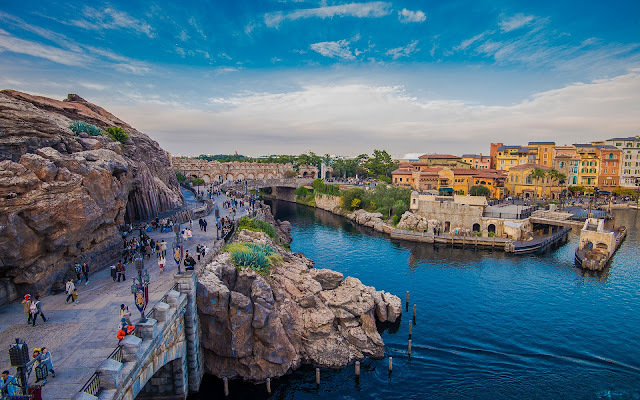 Today's post is one extended panorama around Mediterranean Harbor. 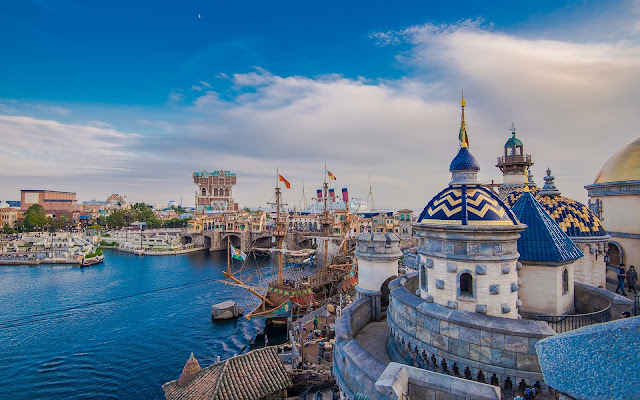 Taken from a high point at Fortress Explorations, it shows the full grandeur of this most magnificent entry land into the "Sea of Dreams." 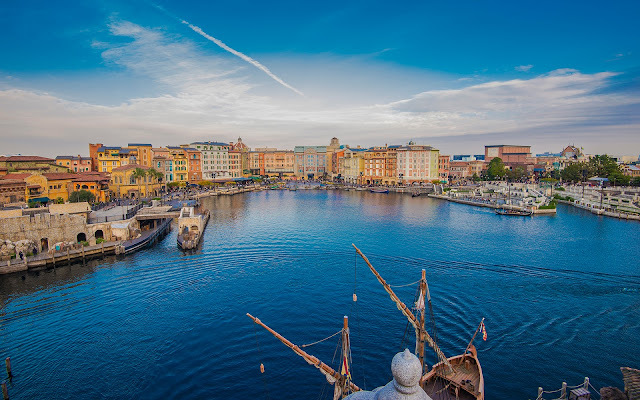 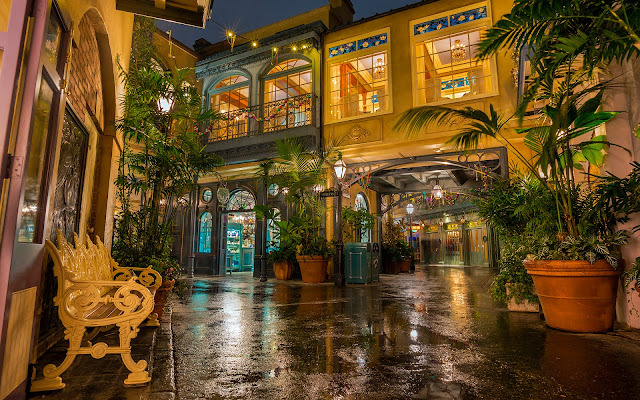 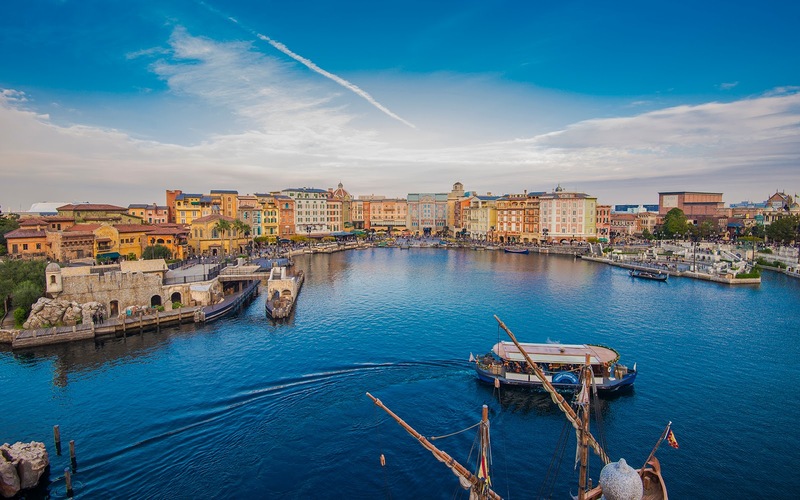 Mediterranean Harbor carries a strong Italian presence, from the Portofino feel of the entrance lagoon to the Tuscan ambiance on the Mermaid Lagoon side of the park to the Venetian environment on the American Harbor Side. It's a lovely, romantic sweep across the harbor, and stunning on any day--especially a sunny one. 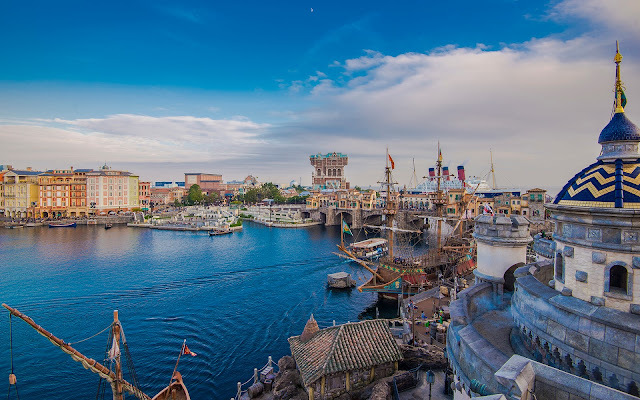 So enjoy the vista. 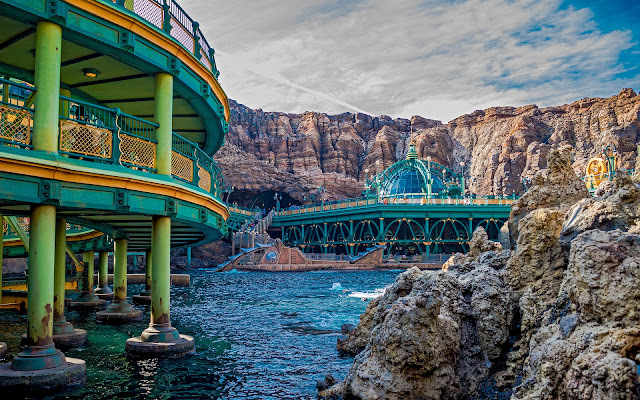 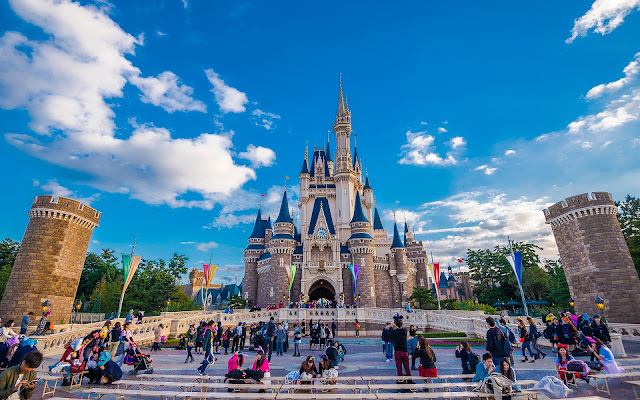 It's truly incredible how gorgeous Tokyo Disney Sea is!